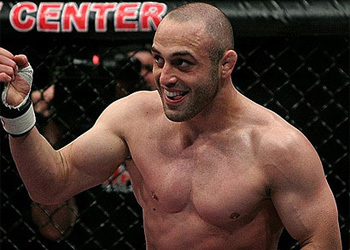 According to numerous outlets, former “The Ultimate Fighter 5” finalist Manny Gamburyan will be making his WEC featherweight debut against Jon Franchi at WEC 41 on June 7th. Gamburyan suffered a bizarre shoulder injury in his TUF 5 finals bout against Nate Diaz. The Armenian then bounced back with submission wins over Jeff Cox and Nate Mohr, however consecutive losses to Thiago Tavares and Rob Emerson forced him to contemplate a career move. After earning a split-decision win over Mike Budnik at WEC 39, Franchi will going for his second-straight win inside WEC’s fences. WEC 41 will be headlined by the featherweight title rematch between current champ Mike Brown and company golden boy Urijah Faber. The night’s main card will be airing live on Versus Network.